Standing on the roof and throwing your arms in the air = bad. Destroying the entire back half of the car with donuts = good. Dumb ol' NASCAR at it again. Preach it Dave! I agree with both you and Jr. I never seen Mark Martin, Dale Earnhardt, Terry Labonte, Darrell Waltrip, or any of the other greats do a burn out, they didn’t need to, they were professionals and acted like it. I would much rather see them grab the checker flag and do a victory lap, or even beter Polish victory lap in Alan Kulwicki style and let the fans see them drive by with the flag! #noburnouts. Ron Hornaday said this years ago, but it wasn't in the context of hiding cheating. It was in the context of destroying equipment. As a business owner I see it like that. 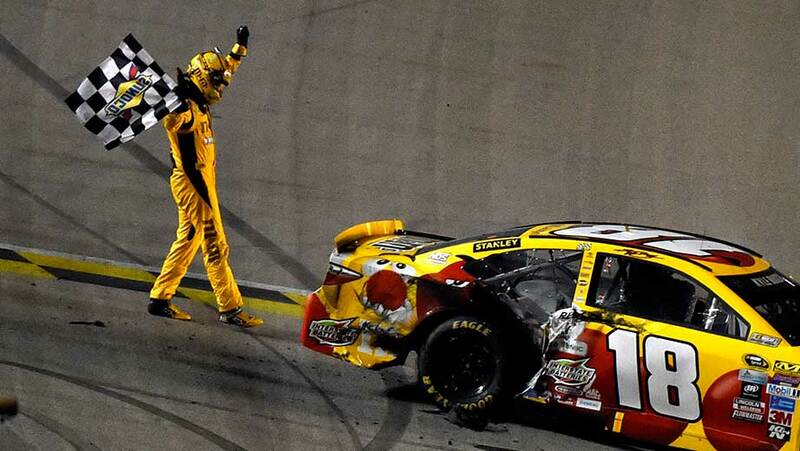 What's the point of winning $100,000 when your driver just went out there and trashed a transmission, rear gear and a bunch of sheet metal acting like a goofball for absolutely nothing? This stuff ain't cheap. I would think the owners would have a more vested interest in stopping it themselves. The need to police post race celebrations should have became apparent when Chad Knaus was caught on camera before the Talladega race a few years ago reminding Johnson that if he won to make sure he damaged the back end during his celebration. He won and he did. Whether or not the burnouts are done to mask illegal mods to the car, and I believe they are, they are insult to me as an adult. They are childish and make the sport look simple. With all the talk of the high costs and sponsors disappearing like an ice cube on pit road in Daytona in July, I truly don't believe the car owners would allow burnouts that damage the car if there was not some payoff for it. Mark Martin won a lot of races and did the best burnouts - none. That's one of the reasons he's my all time favorite driver! Can you imagine Dale Sr doing one? There is plenty to cheer during a race. 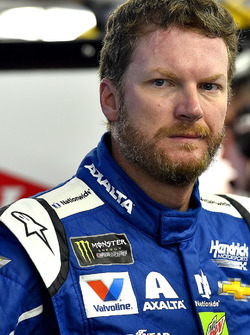 People are not happy because Dale jr isn't doing well and Toyota is on a roll. That's the truth. You mean like that big screaming donut he cut through the infield grass of Daytona International Speedway in February of 1998. The one where got out of the car and talked about making a big "3" in the grass? Don't have to imagine that...I watched it happen. Hear, Hear! Keep preaching and we may reach beyond the choir. Senior did donuts after the '98 Daytona win (in the grass). Proving that a celebration of reasonable amplitude is possible. The fact is the entire ethic of celebrations personified by these burnouts is flawed because it elevates bombast over maturity and substance. And the angle of wrecking the car to cover up illegality is something few people have considered. Taking a different look at this whole thing. To the youngsters attending these races, the BIG burnout maybe the highlight of their race day. Cheering for a real smoke-ing end of race burnout is what a lot of the young fans have come to see. NASCAR needs these young fans, and needs to market to them. Keep the burnouts and keep the younger fans coming! BTW, I'm a senior citizen, and I don't necessarily agree with the burnout, but if it gets fans in the stands, nuff said.